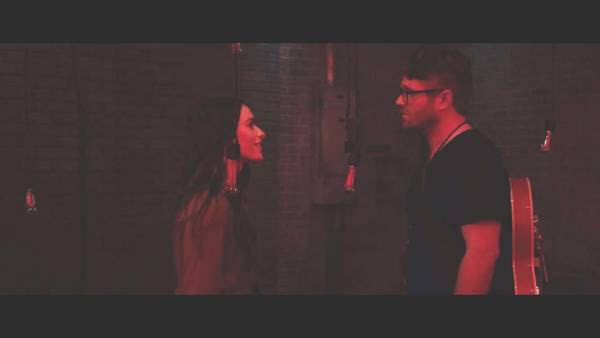 The Country Network, a lifestyle and music video network available in over 40 million homes, debuted the music video for “Half as Good”, the lead single from modern traditional country duo The Young Fables’ latest album “Old Songs”. The video aired for the first time on the network on Wednesday, August 22nd at 4:38 PM in all markets. Check your cable or satellite provider for channel information or you can stream it live online or through their app. “Half as Good” is the first single from The Young Fables’ sophomore album “Old Songs”. The video was filmed at Skyway Studios in Nashville, TN and produced by LUX Collective. With the help of their manager Patryk Larney and music video director Leland Herzog, The Young Fables have created a music video that they are incredibly proud of and ready to share with their fans. The Young Fables are currently on the road promoting their latest project “Old Songs”. “Old Songs”, produced by Grammy award winning Mitch Dane, is a ten track project where all songs were either written or co-written by The Young Fables. It can be downloaded or streamed on iTunes,Spotify, Google Play & Amazon. For an act that has opened for Lauren Alaina, Josh Turner, Sara Evans, Chris Janson, Randy Houser, The Band Perry and Chris Lane, their intimate live show proved to be a hit selling out their album premiere at the City Winery in Nashville and the Biltmore Estate’s Independence Day Celebration. Throughout their promotion of this project, they have also premiered video content with AXS and Pop Culture. Most recently, The Young Fables made their official CMA Fest debut meeting fans and performing on the Spotlight Stage inside Fan Fair X and at the World Famous Wildhorse Saloon. To stay updated on The Young Fables, visit their website and follow them on Facebook, Instagram and Twitter.